Hot air balloons dot the largely undeveloped landscape of Avon in 1986. What: Avon’s 40th birthday celebration. When: 2 p.m. Saturday, Feb. 24. More information: As part of the February Freezer 5K & Polar Plunge event, Mayor Jennie Fancher will host a toast to Avon, with free cake. For more information, navigate to the event page via the “Special Events & Things to Do” link at www.avon.org. Editor’s note: This is the first in a series of articles highlighting the history of Avon as it celebrates its 40th anniversary as a town. Avon is turning 40 this month. Saturday, Feb. 24, marks the 40th anniversary of the incorporation of the town, a milestone to be celebrated. Over the next few months, the Vail Daily will publish a series of articles that highlight the history of the town. As we look back at the origins of our community, embracing the stories of the town and its inhabitants, we can take pride in its roots and keep the knowledge in our hearts as we move forward. Avon started long before it was named and settled by pioneers. The Ute Indians are said to have inhabited our Rocky Mountain region since the beginning of time. The Avon area was a popular summer spot for the Utes. Our area was ideal for hunting, fishing and gathering. People who ventured to the Avon area while it was inhabited by the Utes were attracted to the valley surrounding the Eagle River. However, the area became far more attractive to settlers after the passage of the Homestead Act. The Homestead Act enabled adventurous pioneers to take ownership of tracts of land parcels 160 acres in size, writes Don Simonton in “A Narrative History of Beaver Creek, Eagle County, Colorado.” This opened the area to the industrious and adventurous. The homesteads were ideal for farming. Cattle and sheep were raised, and potatoes and lettuce were grown. In addition, Beaver Creek and surrounding hillsides were ideal logging grounds. Early settlers of the Avon area included Europeans and people from the East. A stagecoach stop was built when the railroad came through, reinforcing Avon as a center of industry. Logging, fishing and farming surrounded the town, making it a hub for shopping and shipping. 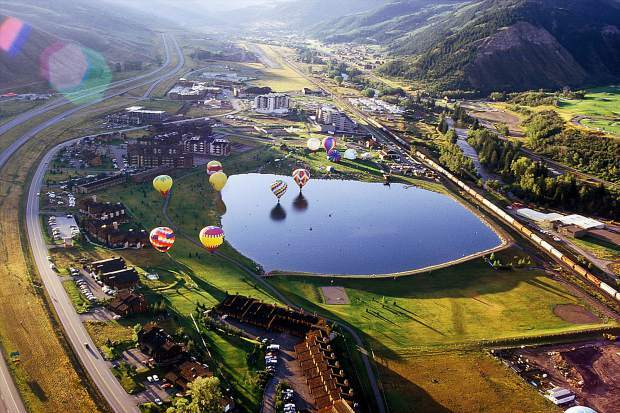 Today, Avon serves as a gateway to a world-class ski resort and a community that offers a lively landing spot for visitors and residents alike. As we move forward into the future, it is important that we remember the past and all those who came before us to create the quality of life we enjoy today. We have few iconic structures left to tell the story; keep your eyes open for articles to come.